Now headlining her own European tour, Dancehall Princess Shenseea has started 2018 with a bang, having released the single “Subrosa”, produced by Johnny Wonder and Adde Instrumentals. That music video, directed by Anju Val has already amassed over 1.2 million views on Youtube. Romeich Entertainment and Miami based Producers Unified Pacific Entertainment have been working to open the doors for Shenseea on an International level and have been seeing fruits of their labour with the release of her single Love I Got For U. 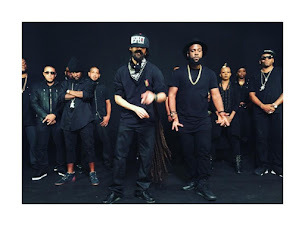 The accompanying music video was shot in Miami by the renowned Jay Will and debuted on New York City-based media house Fader, popular Jamaican entertainment program Onstage. The single, distributed by Zojack worldwide has racked up over 1.8 million views already on Youtube, Shenseea is keeping the releases versatile and entertaining. Following raving feedback from fans for her debut perforamnces at Trinidad Carnival, Shenseea has secured a number of regional bookings for the 2018 carnival season. Claiming the name "ShenYenz", Shenseea fans are looking forward to a different side of the sing-jay with the upcoming release of her not yet titled Reggae EP, as well as a myriad of other singles. For the second week in a row, Shenseea has also been listed on the Billboard's Next Big Sound Chart and looks forward to climbing this chart and other acclaimed music charts.